Robots are the future of the world. Everywhere, one can see applications conducted by an automated system or a robot, both of which act as predecessors of the much advanced robots of the future. This, however, has not stopped people from coming up with innovative designs. Created by artists and students from across the globe, from Japan to the United States, these designs are varied and inspired from a certain source but have their own aura of invincibility and freshness. Following are the 10 robot models that will leave you stunned. Steven Spielberg brought a new class of robots to the world that could transform themselves from automobiles. This imaginary concept has been brought to reality by Chinese designers. 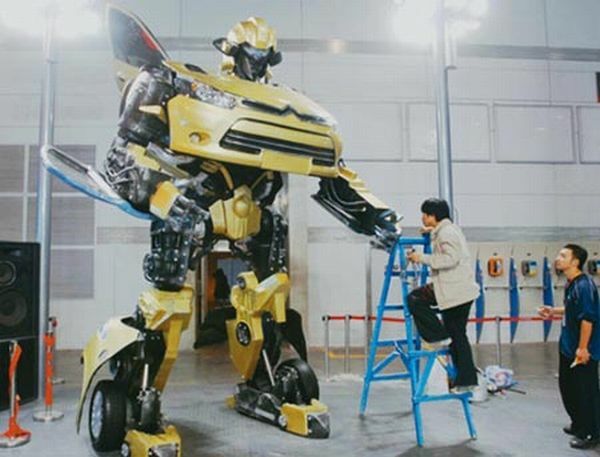 Using junk automobile parts, Chinese students have created their version of a Transformer. The robot stands at an awe-inspiring 10 meters high and is located at Bird’s Nest, Beijing Olympic Park, redefining the art of China. Optimus Prime is one of the most revered robots in the Transformers franchise. One can see his life-size replica measuring about 2.5 meters today. Built out of recycled steel, the robot is everything that you would have imagined the Transformer chief to be. Compiled by Robosteel, this version of Optimus Prime is available for a considerable $7,500. Its structure is made out of the remains of cars, trucks, televisions and other steel structures. The whole robot has been assembled using an impressive 5,000 parts. Talk about taking care of the garbage problem, right? What makes this robot even more special is its high-quality craftsmanship and resilience to rain and other corroding components. Robosteel has achieved this by using a thick layer of lacquer which shields it from outside elements. Optimus Prime seems to be getting all the attention and why not? He’s the perfect android superhero to save your day. And thanks to the Steven Spielberg franchise, more imitations are rolling out. 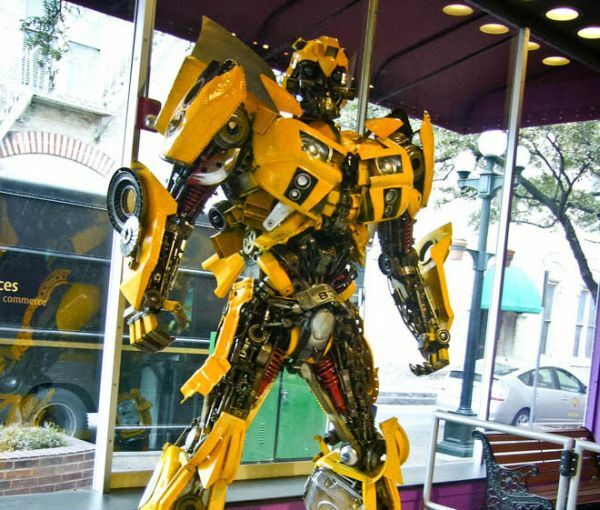 Inspired by the Transformers movie, these Anchalee Saengtai-designed Autobot sculptures are made out of useless automobile and truck parts. Their heights vary from 2.2 m to 6 m, which is pretty huge. The detail that has gone into creating them is so mind boggling that even USA’s Ripley’s Believe It or Not has taken some of them for demonstration on the world stage – Ripley’s Auditorium, San Francisco and Louis Tussaud’s Waxworks. The price for these structures range from $7,500 to $14,000, and are highly anticipated by the public the world over. 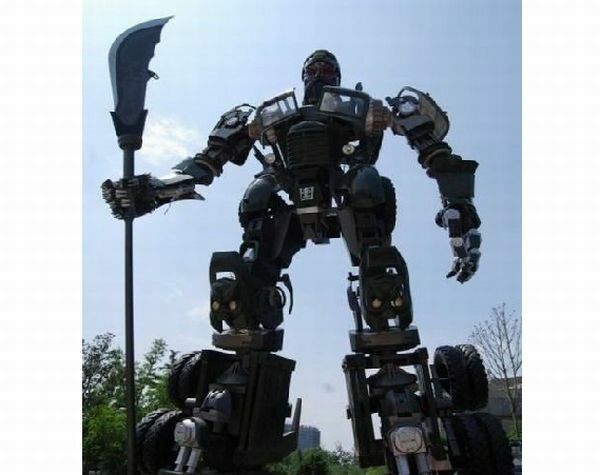 Created by students of China Central Academy Of Fine Arts University as part of their project, Guan Yu Optimus Prime is made from parts of an old truck and is about 9.7 meters high and 4,000 kg in weight. Pretty impressive, isn’t it? 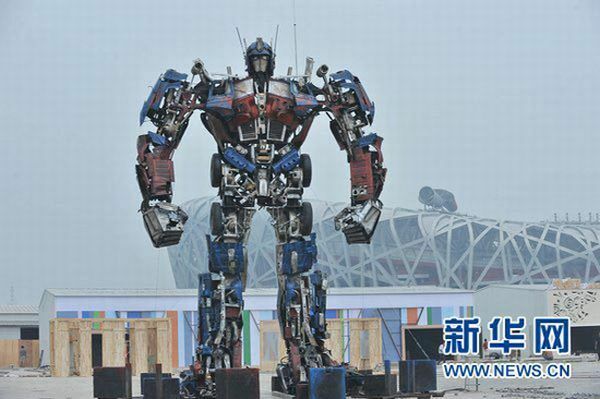 The only thing thing that separates this robot from the traditional Optimus Prime is the presence of a different face and a sword which are inspired from Guan Gong, a Chinese hero. Still, it makes Optimus seem even more intimidating than he already is. Japan has been the leader of electronics for a long time now and almost every model comes from this small nation. 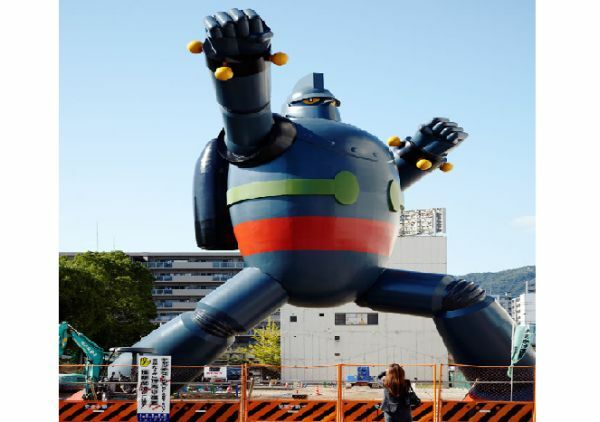 Tetsujin 28 is a robot unveiled by Japan in Kobe, inspired by the manga automaton. This massive piece stands at a stunning three-stories tall. According to the comics, Gigantor (as it is known in the West) was built by the army for the Second World War but was never used. 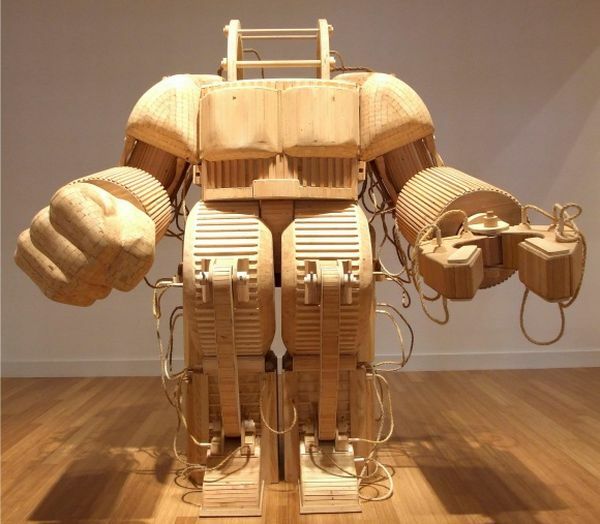 There are other replicas based on manga robots too, all testament to Japanese ingenuity. 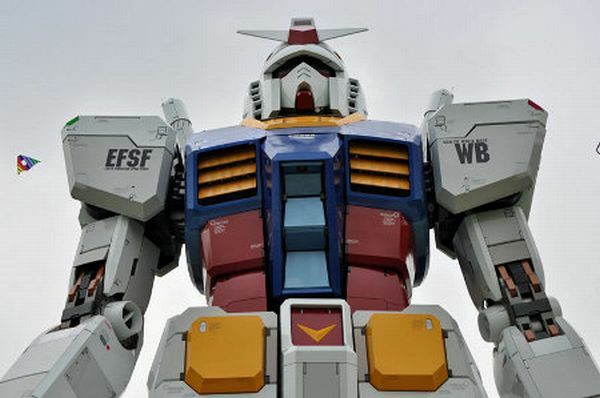 To celebrate the 30th anniversary of the mecha anime-toy-video game franchise, the RX-78 has been erected which stands at 18 meters, designed to blow people’s minds. Light is emitted from 50 points while mist shoots out of 14 different other points. The robot boasts a movable head and a continuous stream of utter coolness. Jeremy Mayer’s typewriter robots can leave a viewer stunned with its unique looks and features. 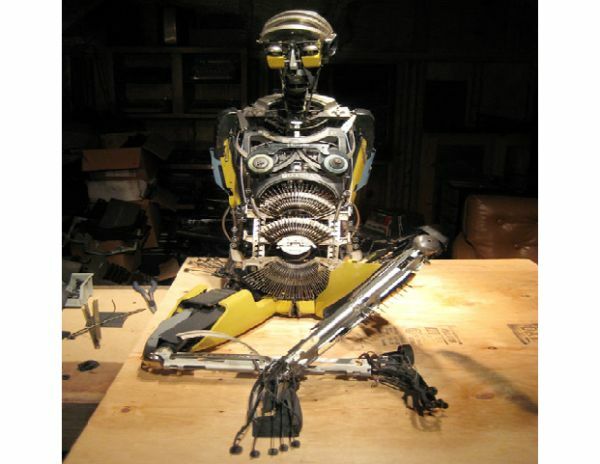 He built his detailed creations entirely from old typewriter parts. His human and animal organic forms give new life to the cold metal of these mechanical relics. The Californian artist takes apart old typewriters and puts them back together again without any soldering, glue or welding. His metallic sculptures are a reflection of his fascination with how scientific progress continues to lead us towards the emulation of nature in technology. 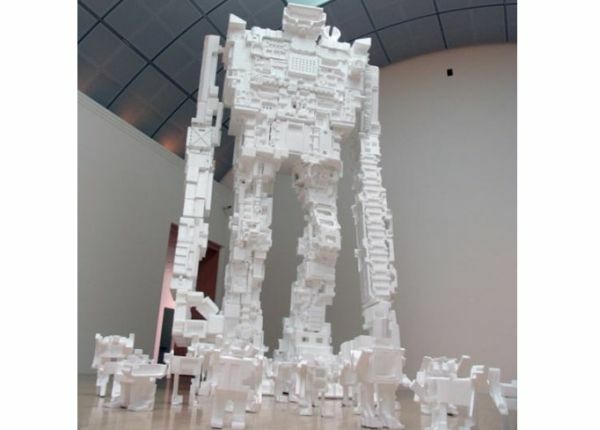 Created to show an innovative way to utilize waste plastic, this 22-foot high robot has been designed by Michael Salter, a pack rat. Instead of letting all that clutter go to waste, he put it to good use by making robot sculptures. This polystyrene piece needs moving vans to transport it and its own wooden skeletal armature to keep it standing. The Styrobots at the bottom prevent people from coming too close and knocking it down. Salter spent an entire winter cutting the pieces into shapes which were later glued together. Chicagoan Michael T. Rea carves space shuttles, time machines and machine guns from humble timber. Most of his work seems to be a combination of revulsion and devotion towards modern technology, which he interprets in great detail without reference to photos or models. Above is an incredibly detailed Prosthetic Suit for Stephen Hawking that he carved. enge. The legs of the robot can bend a little and the fingers move but that’s about it for transforming capabilities. And while it isn’t automated, you have to admit, it is one cool looking piece of metal.